Why Choose RE/MAX Legacy in Rocky Point Mexico? Our number one goal has always been service with integrity which in this market has been in a sense our saving grace. We will give you the honesty you deserve, a perspective built from not only a professional mindset but also backed with years of experience. At RE/MAX we understand this market demands excellent service with great communication, outstanding exposure and an understanding that everyday we need to look for ways to change for the better. We have set a standard as a company to communicate as much as needed to meet the needs of our clients. At RE/MAX we communicate once every two weeks with our sellers updating them on current activity, what we as a company are doing and what the professionional is doing to go the extra mile. We understand the need to get outside the box and promote in a way that get results for you. As the market shifts we continue to be reminded that we have to focus our efforts on the activities that produce. The internet plays a huge role and with our site www.realestaterockypoint.net we continue to see great success generating leads on a daily basis. Sure a lot of sites can be found but will the client stay. Our number one goal is user friendly and number two goal is Search Engine Optimization. This combined with our immediate response time to leads not generic but personal by way of Blackberry shows we are committed and in the game. Although we are generating leads we can not and will not ignore the fact that we need to be ready like the client walking in the door. We provide training on a weekly bases which has added greatly to our ability to serve our valued buyers. This combined with our agents being full time in Rocky Point definately seperates us from the masses. At RE/MAX we promote and believe like the book "How to Win Friends and Influence people" some standards for excellent service will always remain from integrity and honestly to consistent follow up. On the other side we also value the fact that what worked yesterday will not be sufficient for today. Who moved my cheese is a great book that often is seen in our office. The idea is we need to keep looking for better ways to promote you and why RE/MAX. Some questions to consider when hiring a real estate company in Rocky Point. The point is we are here to serve you with no great goal then a safe and secure transaction which is why we have an in house Trust Department ran by Reyna Molina. We used to use an outside closing company but realized to guarantee our valued clients are protected and have an open line of communication 7 days a week during the transaction this was a department worth creating. The revolutionary RE/MAX Concept of enabling real estate professionals to maximize their business potential has evolved into a network of nearly 115,000 Sales Associates in more than 65 countries and over 7,000 offices. In a business environment of mergers and acquisitions, RE/MAX is the only major real estate network still owned and directed by its founders. The excellence of RE/MAX Broker/Owners and Sales Associates has led to an ever-increasing number of accolades from the business community at large. In January 2007, "Entrepreneur" magazine ranked RE/MAX No. 6 - up from No. 9 - on the 2006 Top Global Franchises list and again named RE/MAX "Best of the Best" for real estate services for the seventh time in eight years. RE/MAX climbed from No. 11 of Fastest Growing Franchises to No. 7 and finished in position No. 2 among Top Low Cost Franchises. More Than 34 Years "Above the Crowd®"
RE/MAX - now an established industry leader - celebrates its 34th anniversary in 2007 and looks ahead to even greater real estate achievements in the years to come. 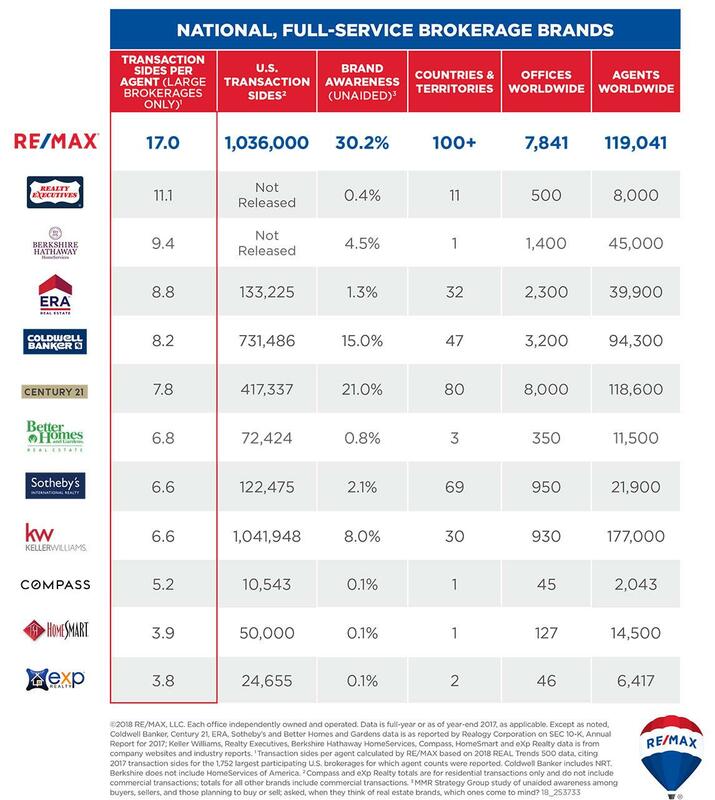 We do things a little different here at RE/MAX which has paid off greatly with success in a down market. An outstanding program focused around building business by referral. 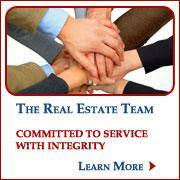 We chose RE/MAX for the company’s reputation, systems, support and undeniable exposure. We are here fulltime in support of our team and clients working 6 to 7 days a week. Reyna Mackenzie – Trust department and Finacial – we handle our closings in house which gives us a great ability to move forward rapidly. We have a competition based off of activities that help the agents create leads – this has been huge for motivation and results. Reverse happy hour – we will meet at our project for coffee, donuts ( 9 am ) and watch some of the greats on how to be a top producer in sales. "Nobody Sells More Real Estate Than REMAX"